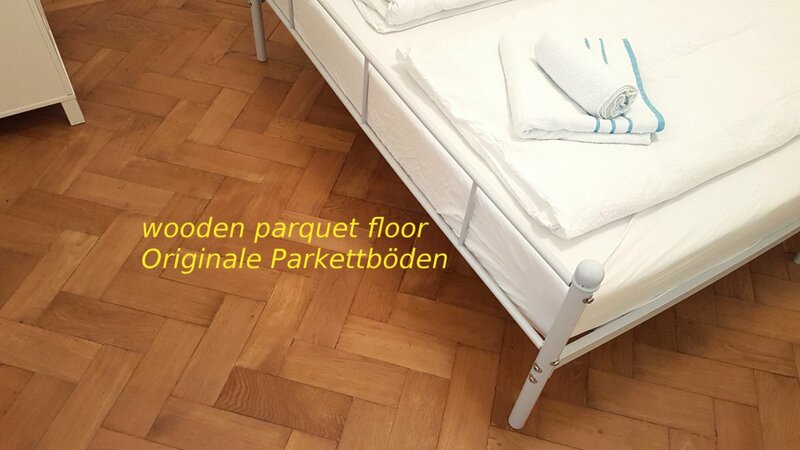 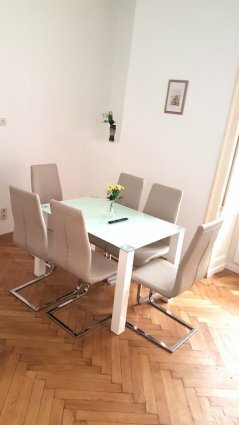 Set within 100 m of Graben and 200 m of St. Stephen's Cathedral in Vienna this apartment is located in the very heart of Vienna. 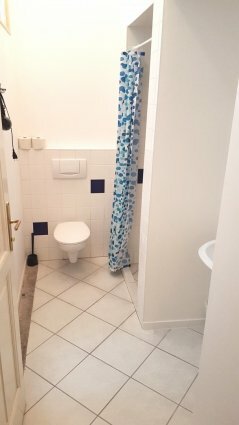 In the center of Vienna, a classical furnished apartment awaits in its beauty to bring feeling of a real vieneese resident closer to you. 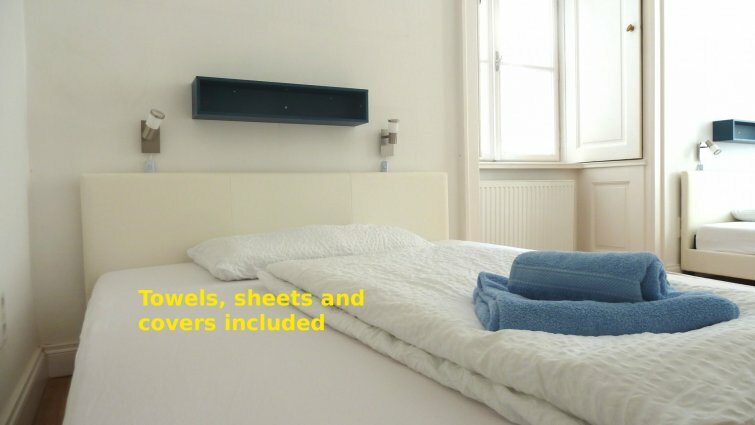 Two bedrooms offer sleeping arrangements for up to six persons. 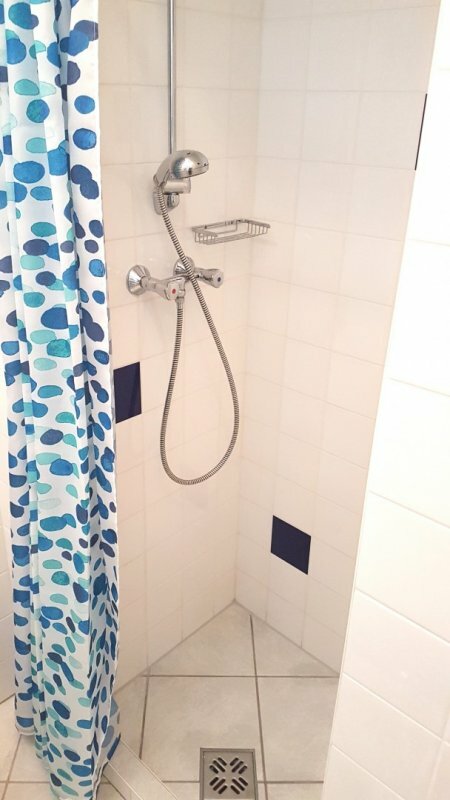 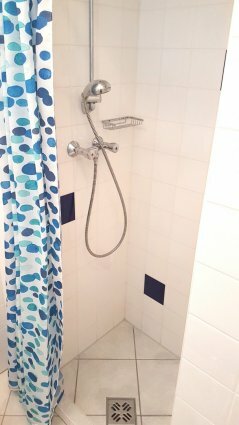 A bathroom with shower offer relaxation after a busy day of exploring the city. The kitchen is nicely equipped. 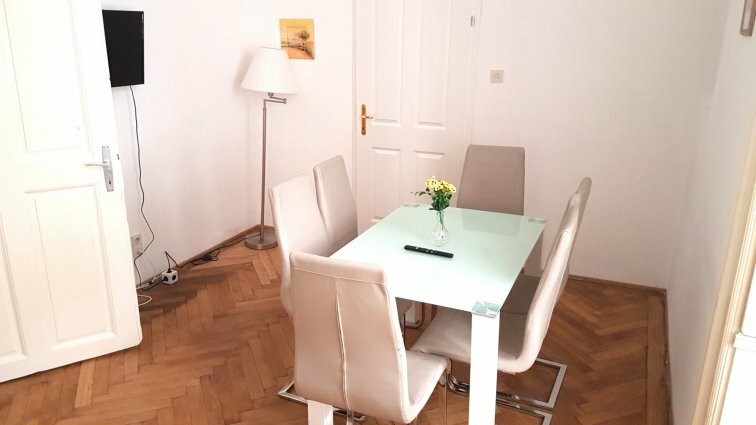 The living room is comfortably furnished (including a dining table, sofa and kitchinette) and invites you to a wonderful vacation in Vienna. 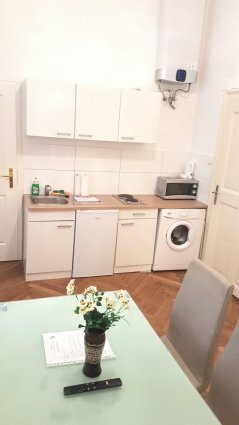 - kitchen with dishes, cuttlery, microwave, coffemaker, etc. 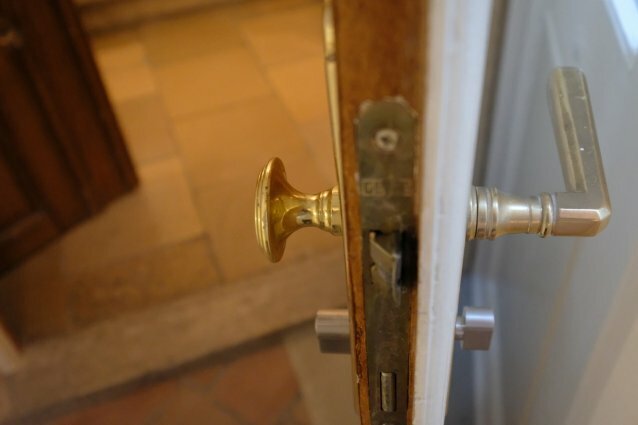 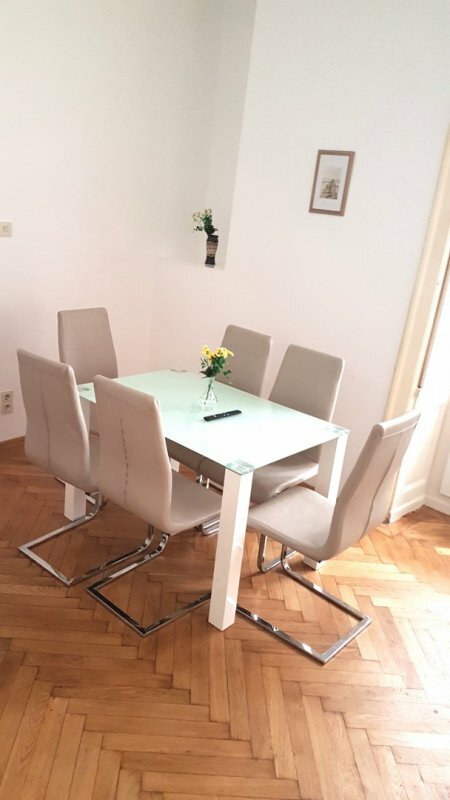 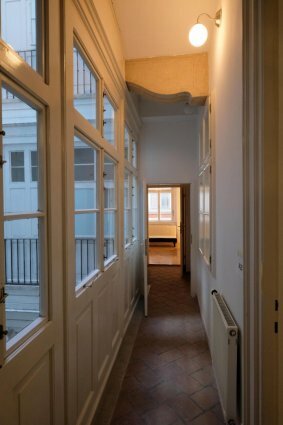 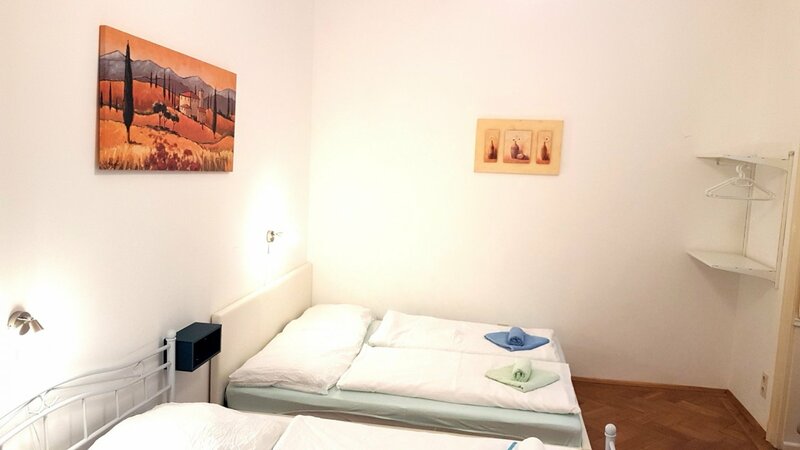 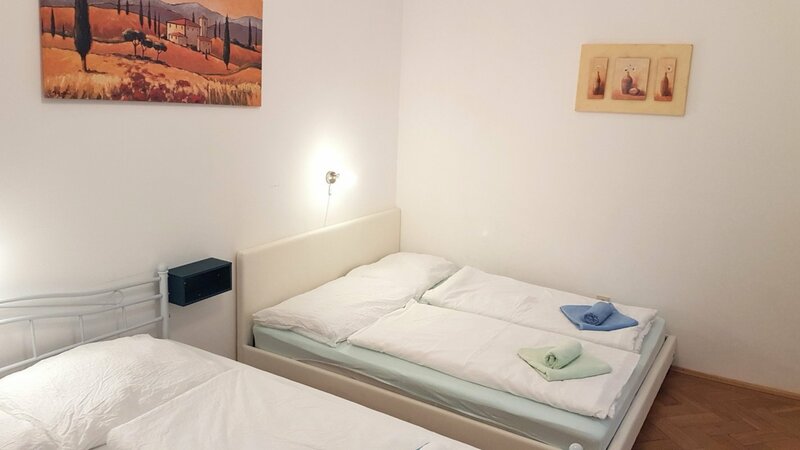 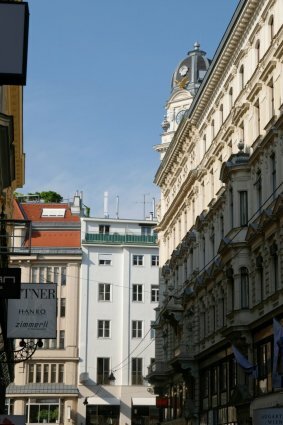 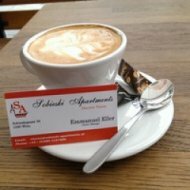 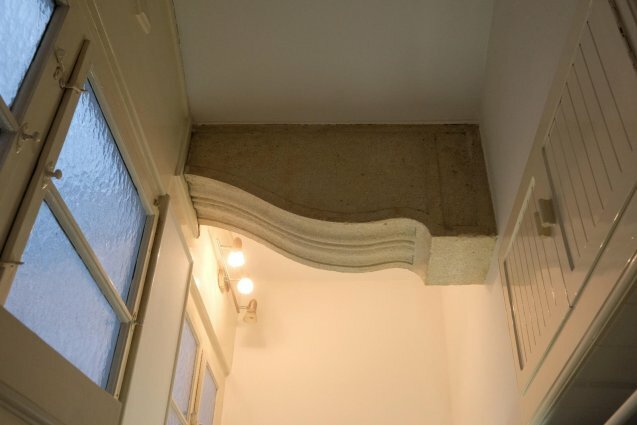 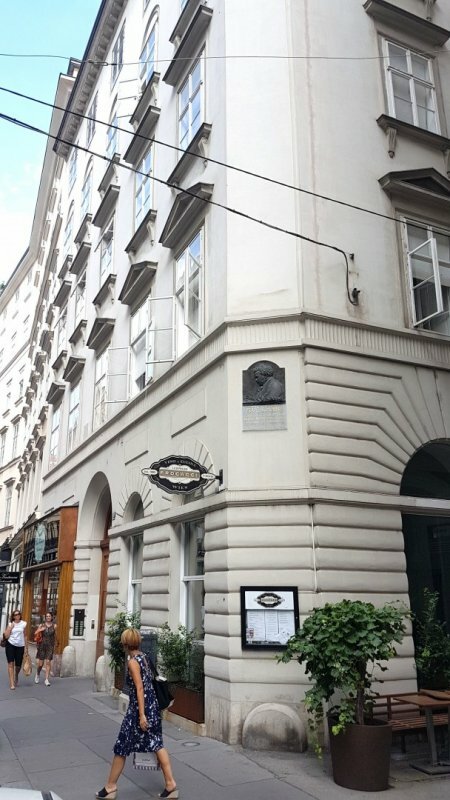 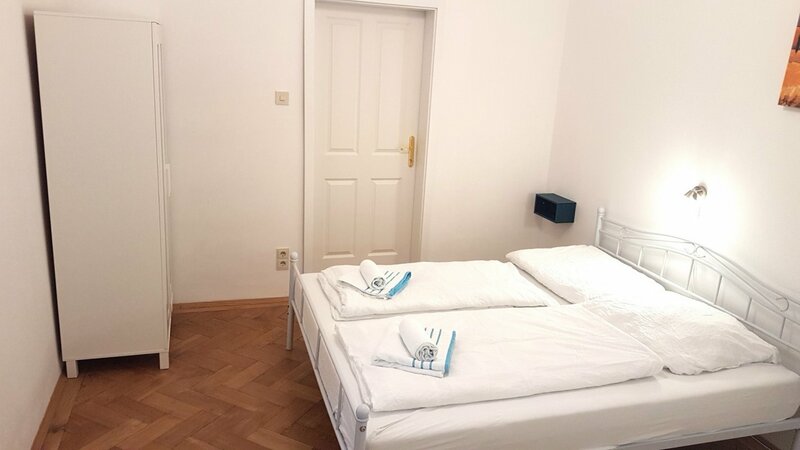 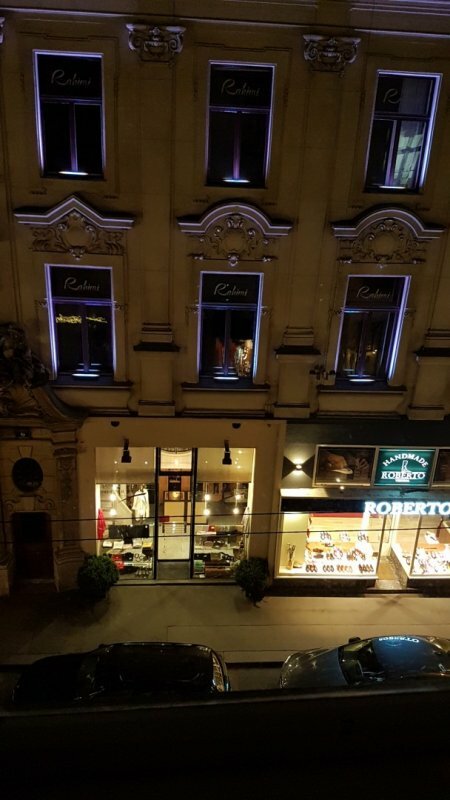 The apartment is located in Spiegelgasse, a side street off the Graben, between the central St.
Stephen’s Square (Stephansplatz) and Albertina Museum – a truly unbeatable address. 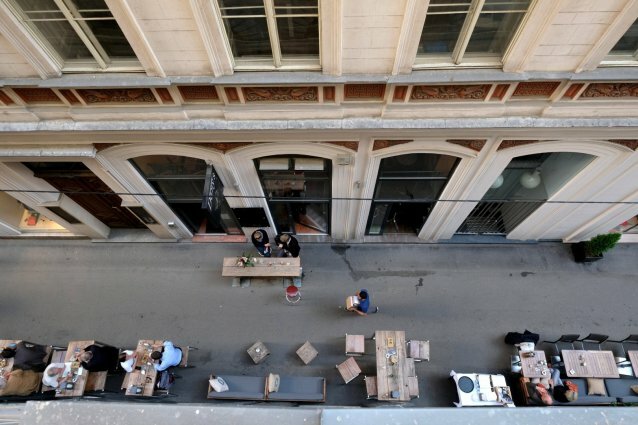 Its unique and central location makes it the perfect starting point from which to discover Vienna city and all of its magnificent nooks and crannies. 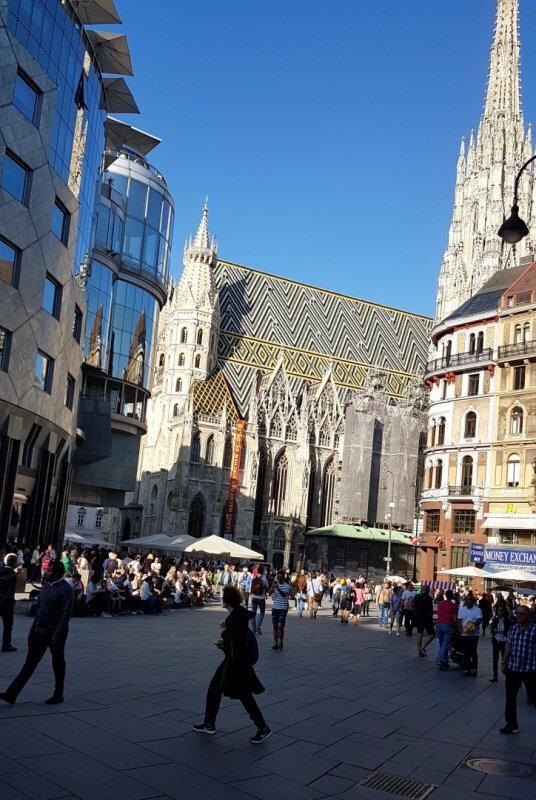 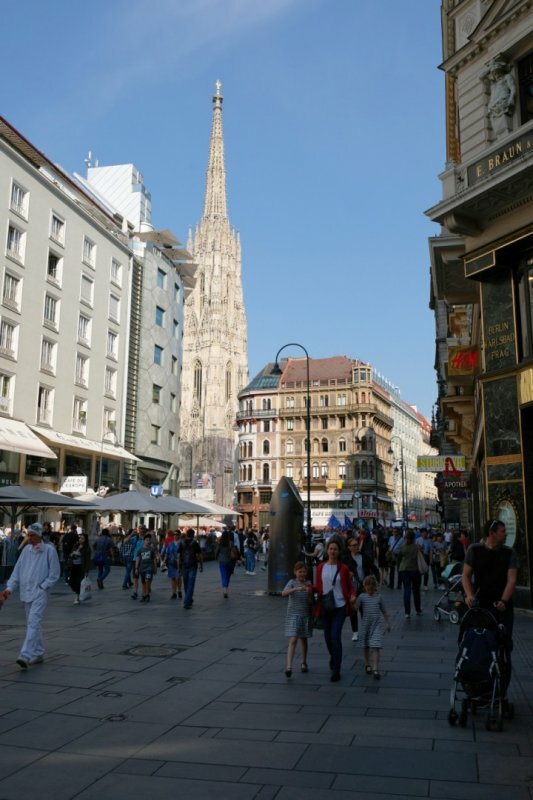 Some of Vienna’s most note-worthy sights, such as the Hofburg Palace complex, City Hall and St. Stephen’s Cathedral are just a few minutes of walking away. 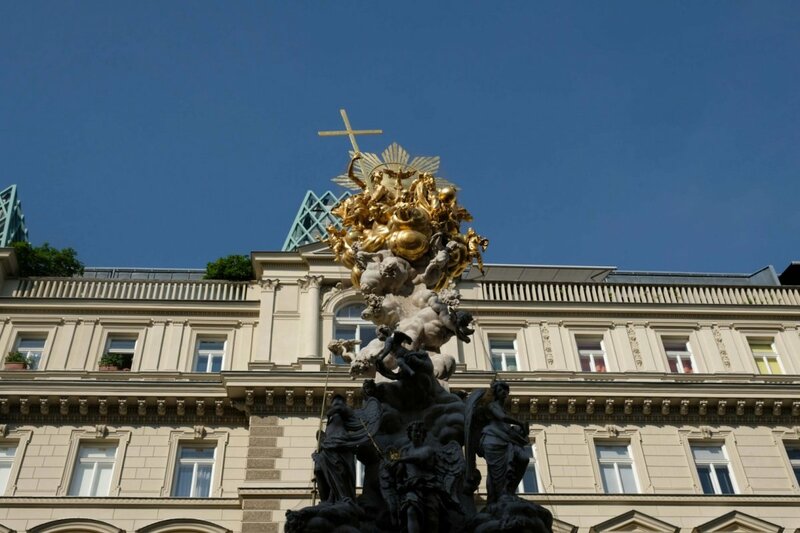 Lovers of arts, sciences, and imperial collections can enjoy a trip to the Fine Arts Museum (Kunsthistorisches Museum), Natural History Museum (Naturhistorisches Museum), Albertina Museum or Imperial Treasury (Kaiserliche Schatzkammer). 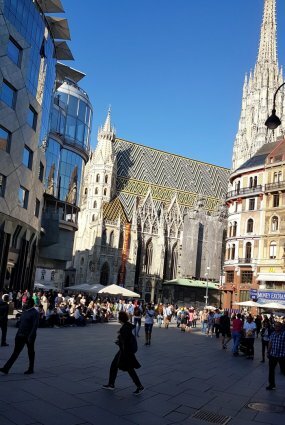 Those that want a break from the bustle of the city can retreat to the Burggarten Park or City Hall Square (Rathausplatz) Park. 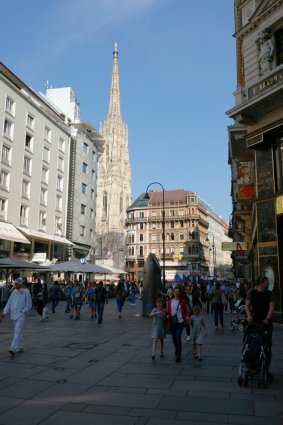 The metro station just around the corner at Stephansplatz connects you to the metro lines U1 and U3.